PLEASE NOTE: Blue headings are also links. Click on the heading to see more information about each of our partners. Headwaters Charitable Trust enhances the livability of rural communities by generating employment opportunities and funding through the restoration of land and water. The Trust is committed to building financial and philanthropic investments that will support healthy and vital communities in the PA Wilds region of Northcentral Pennsylvania. Brenda (in red coat) talking about interpretive signs. Ron (blue sleeves) sharing maintenance tips on trail. Tom Buck presents our trail club with a check from the NC Greenways Grant Fund for $10,662.07 to develop our trail. Headquartered in Ridgway, PA, NCPRPDC is the designated Local Development District for the counties of Cameron, Clearfield, Elk, Jefferson, McKean and Potter. The communities, businesses, industries, and workforce of this region work together with NCPRPDC, to streamline state, federal and regional services, including transportation planning and economic development. Support for new ventures is available in funding community infrastructure projects, customized job training, technical assistance for export, government procurement, redevelopment, and networking – all working together to make our communities livable and viable. Located on Viaduct Road (off of the Kinzua Scenic Byway) between Mt Jewett and Ormsby PA (SR3011). Referred to as DCNR; you can explore their website to view their News Releases, Hot Topics and Blogs. You can learn more about trails in PA by going to DCNR's Good Natured webpage. Thank you to the Mt Jewett Borough Council and Mayor Annie Wolfe for your support of the Knox & Kane Rail Trail and the MJ2KB Trail Club. Your place to find trails, recreation, lodging, dining, shopping, and events around the area. We are TRAIL CENTRAL. “You’re on the trail to something big!” Check us out. The Kinzua Bridge Foundation Inc will hold their 22nd Annual "Fall Festival" September 21st - 22nd this year at the Kinzua Bridge State Park (see above). is a nonprofit organization dedicated to creating a nationwide network of trails from former rail lines and connecting corridors to build healthier places for healthier people. 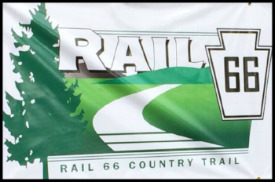 Rails-to-Trails Conservancy's TrailLink.com website offers more than 30,000 miles of trail information to the public free of charge. The site provides comprehensive trail information, including trail names, photos, uses, descriptions and GIS maps. Just past CCC Camp going out Highland Road near Kane. Click on the pictures to see the trail. Local club located in Smethport PA; member of the Pennsylvania State Snowmobile Association (PSSA). This is a local snowmobile club based in Marienville PA, and also a member of the PSSA. Mt Jewett Memorial Library supports our Trail Club. Meetings are held here monthly. Click Here. is a full service bicycle shop in Bradford, PA and a generous supporter of trail clubs in the area. Costa's Ace Hardware carries paint & supplies, hand tools, grills, garden and lawn equipment, appliances, housewares, pet and hunting supplies. 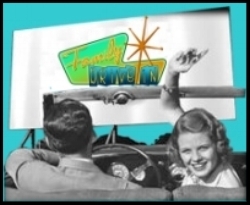 Your "hometown" place to shop for all your needs. Serving Smethport, and the surrounding communities for over 40 years! We promise that, "helping you is the most important thing we have to do today." - Josh Costa, store owner. Located in the center of Mt Jewett on Main Street Great food and great service! Thank you for supporting our trail club! 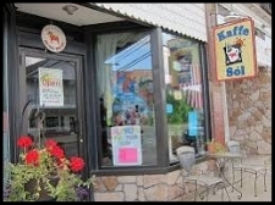 For the best coffees, lattes, sweets or just lunch- come to Jewett’s Kaffe Sol on Main Street in Mt Jewett. (Just up Center Street from the Knox & Kane Rail Trail parking lot in Mt Jewett.) Click on the blue link to check out their delicious menu. Give a gift from the forest. Stroup’s Pure Maple Syrup is all natural and made in the heart of the PA Wilds. Ken Stroup has made pure maple syrup for over 30 years on his family farm. 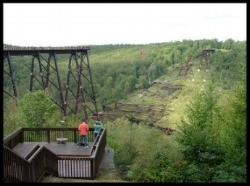 Stop by on your way to the Kinzua Bridge State Park via the Kinzua Scenic Byway (Lindholm Rd) in McKean County PA. Continuing the great American tradition in entertainment under the stars! Open Fridays, Saturdays and Sundays. Located at 101 Fraley Street in Kane PA. Your one stop source for electronics and work clothes. Located at 142 Davis Street, Bradford PA. Suppliers of lumber and material to our trail club. Contact Jolene Ebeling for all your printing needs. Click on picture to see her on Facebook. SIGN DESIGN OF WESTLINE - Jerry Clark can make industrial, business or personal signs for you. Click HERE to read the trail club’s latest article in the Bradford Era newspaper. Click HERE to read the trail club’s latest news in the Kane Repbulican.